We believe it is our responsibility to support the community. Over the years ThermoFab has been a strong supporter for many organizations — support that we provide in a variety of ways including financial donations, volunteering our time, and providing our employees with time off to share their skills and talents. This page was created to share with you some of the organizations have touched, and to let you know that not only do we want to be the best thermoformer of custom plastic enclosures, but also the best corporate citizen we can be. We provide this group with financial support. 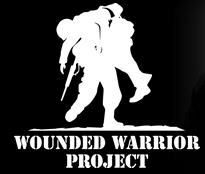 The mission of the Wonded Warrior Project is to honor and empower wounded warriors. Habitat for Humanity International is a nonprofit, ecumenical Christian housing ministry. HFHI seeks to eliminate poverty housing and homelessness from the world and to make decent shelter a matter of conscience and action. Not only are the children of some of our employees members, we have supported the troop as they strive to earn badges.